This looks like a glass of Coca-Cola after the ice has melted with a thin cream head. Initially I was a little disappointed with the nose, I think I expected a full aged rum nose. I get charred wood with demerara sugar, there's a little bit of fruit evident but it's not prominent. The palate however is a whole different beer. It tastes like 'Old Seadog' dark rum, it's balanced with some orange flavours, smokiness and some soft vanilla but the finish is really unusual it leaves a hot feeling, almost like the spiciness that you get from eating unsweetened natural black liquorice. In some ways it's quite similar to Celebration Ale by Porterhouse but a little lighter in style. I'd try it with a winter stew or some smoked cheese. 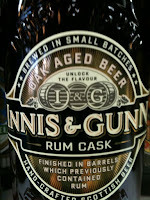 I tried both the Rum and IPA, both were delicious, the toffee was still there, but there was added yummy as part of both. Someone (Ruth) forgot to mention the IPA i 7.7% and the Rum is 7.4%... this I discovered putting the bottle out in the recycling bin the next morning !! Obviously things weren't too bad if the bottles made it into the recycling bin the next morning and not 3 days later! 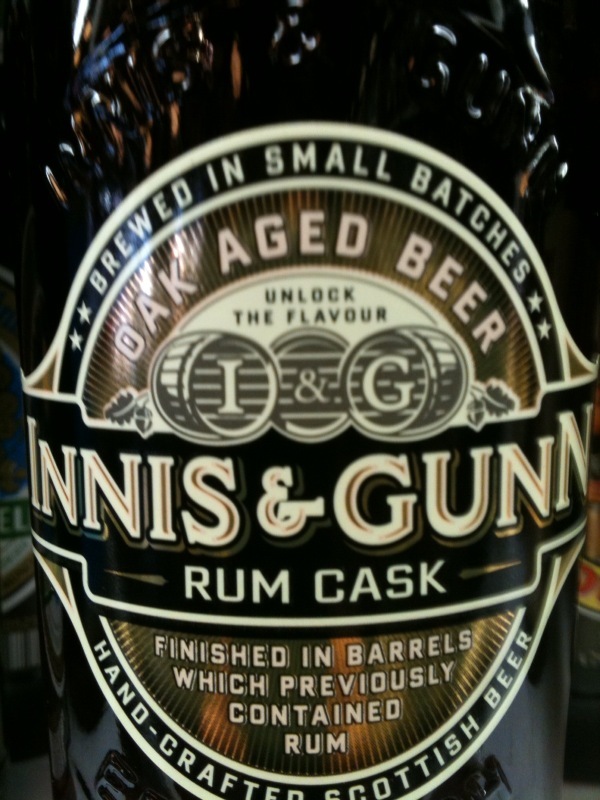 BTW: I&G Rum Cask is 7.4% and the IPA is 7.7% so be-careful with those boys! !